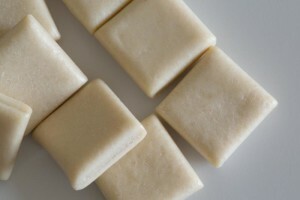 When a person attempts to quit smoking, a la,“cold turkey”, the sudden cessation of nicotine into your system, by way of cigarettes, cigars, snuff or whatever tobacco product, reduces dopamine levels, and that may leave your feeling irritable and moody.Nicorette Gum is one type of nicotine replacement therapy, and there have been many success stories for those people wishing to “kick the habit”. The flavorscome in a refreshing fruit and cool option. Some ingredients of the Nicorette-Nicotine-Polacrilex-Fruit-Chillgum include (but are not limited to): Acacia, Carnauba Wax,Hypromellose,Edible Ink, Magnesium Oxide, Sodium Bicarbonate, Sucralose, Xylitol and Titanium Dioxide. It is important to remember that Nicorette Nictoine Polarcilex Fruit Chill gum is not to be treated like regular chewing gum or you may encounter an upset stomach. You chew one piece at a time, until you begin to taste a “peppery” flavor, and then “park” the gum into the side of your mouth, until the “peppery” taste dissipates and repeat. Unlike with the Ice Mint flavor, it is easy to detect the flavor change with the Fruit Chill flavor, and is the most favored of the consumers. 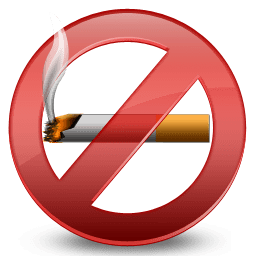 It is recommended to use eight pieces a day, and don’t hold off until the cravings become intolerable, if you keep a piece of gum in your mouth, you may be pleasantly surprised at how easy it will be to quit smoking (according to satisfied customers who are now former smokers). Nicorette Nictoine Polarcilex Fruit Chill gum is discrete, portable and reasonably priced (just over a quarter a piece). 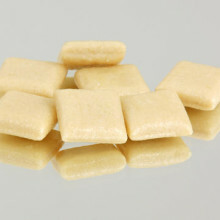 The big question regarding this product is “whether it will stick to dentures, and other types of dental work?” and the answer is “maybe”, although it is a sugar-free product that it is made to reduce any stickiness, it is still possible that it may stick to dentures, bridges and caps. If you are following a low-salt diet, had a recent heart attack, untreated high blood pressure, diabetes or stomach ulcers, it is highly recommended that you consult with a health care professional before beginning this nicotine replacement therapy.